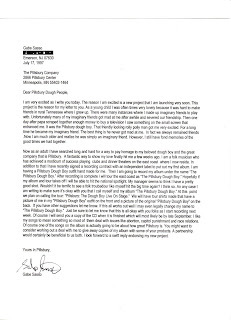 This letter to Pillsbury is one of my early favorites. It was one of the first times I "forced" someone to write me back because I made it clear I was taking action. As simple as it seems now it taught me that I could say I was going to do something and that would get peoples attention. It didn't matter at all that I had not intention of following through. 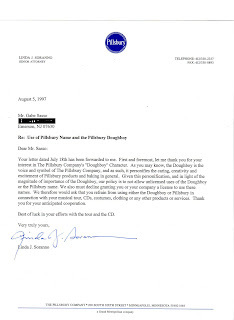 This is probably the first response I received from an attorney during my letter writing campaign. And believe me, that made me VERY happy!